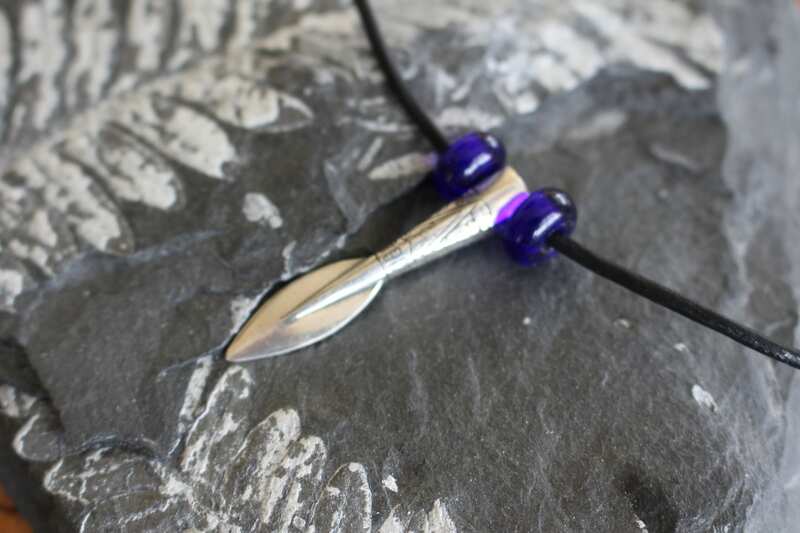 This solid sterling silver rendition of Odin’s magical weapon, the spear Gungnir, comes embellished with traditional Viking Age designs on the shaft. 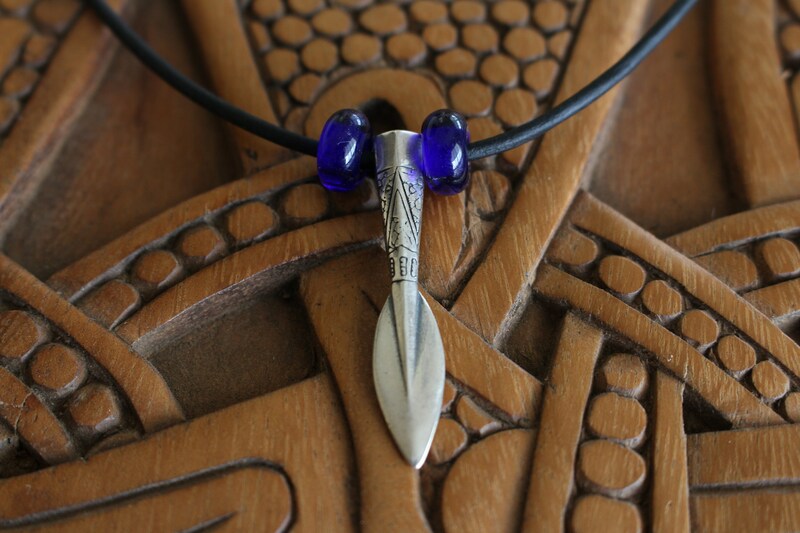 It comes with a leather cord as well as two handmade blue glass beads, designed after Iron Age finds in Norway. 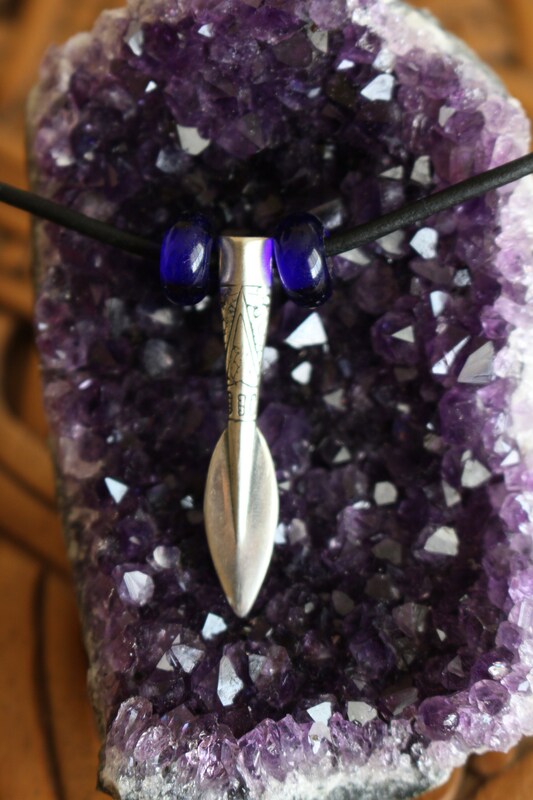 In the Poetic Edda, Odin in disguise is described as wearing a blue cloak and therefore has become affiliated with the color. 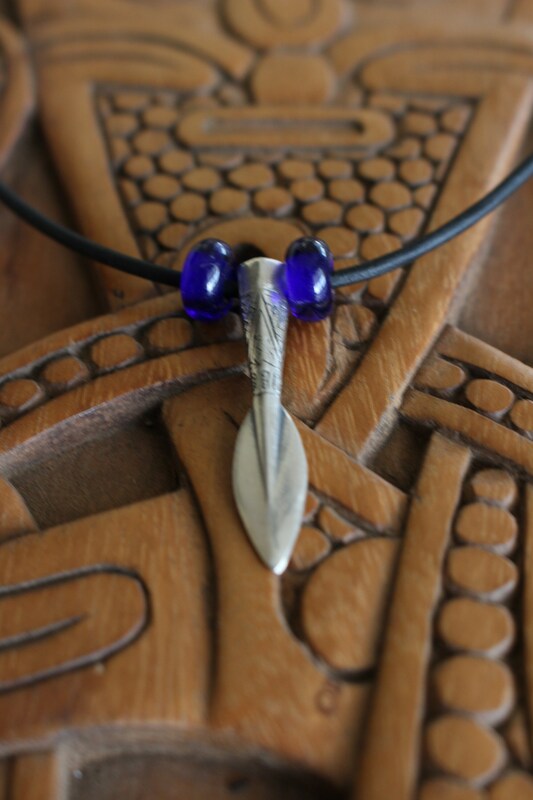 In Norse mythology, Gungnir is the spear of the god Odin. 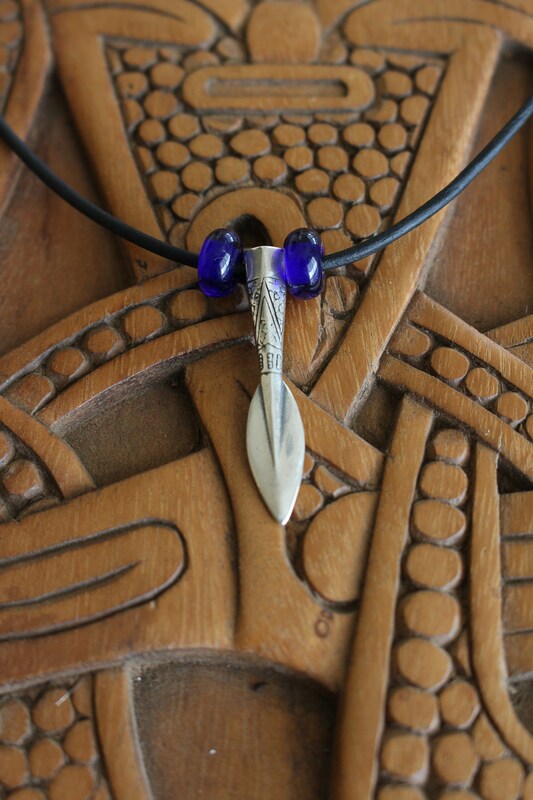 While the sword and axe may seem like the most common weapons of the Norse, the spear was also widely used by Viking warriors and is found as pendants in graves, perhaps as an allegiance to Odin. 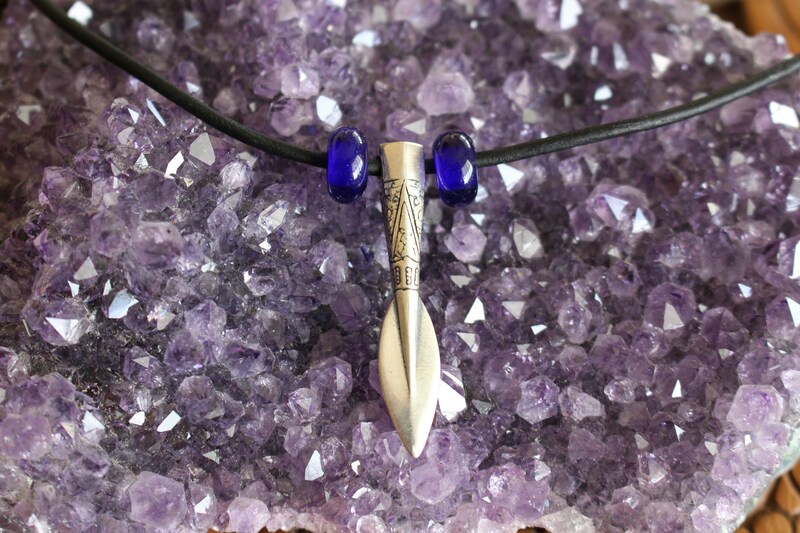 Odin is said to enter the final battle of Ragnarök gripping Gungnir, whose powers enable a true shot, no matter the wielder. Scholars have also noted a similarity between this Norse story and the Irish folk hero Cú Chulainn, who wielded a magical spear, Gáe Bulga. 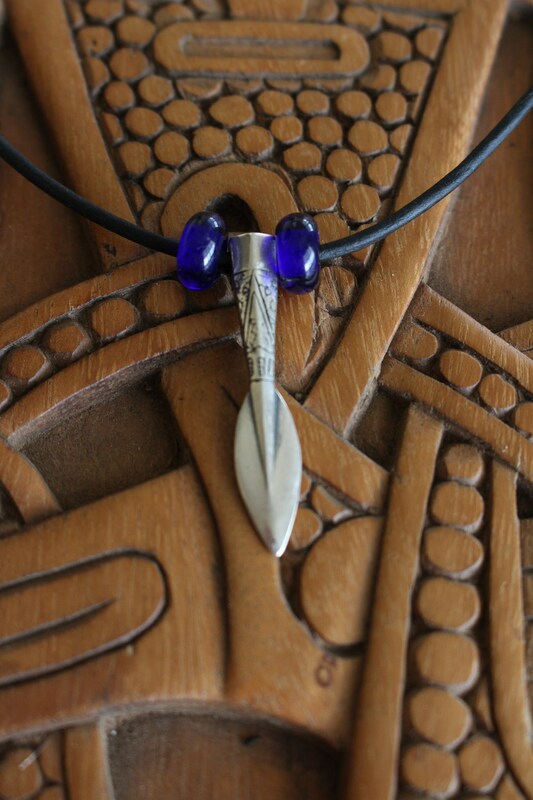 Cú Chulainn is affiliated with the Celtic god Lugh, who also had a powerful spear in his arsenal of weapons.